If you are a programmer who does object oriented programming and have never used C programming language, I do not know under which rock you have spent your whole life. C is that fundamental language you have to learn to make path in other programming languages. It doesn’t matter you do scriptural language or object oriented, C is the way. When you do C, working on graphical user interface (let’s call it GUI) is the best part you would love to do. 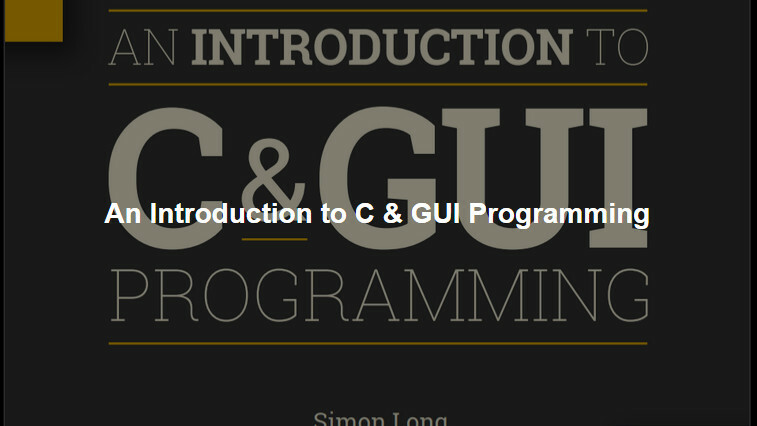 And, if you are interested, find out how can you download free ebook An Introduction to C & GUI Programming written by Simon Long. C programming language is, still, being used everywhere. You will find it in simplest programs as well as in NASA programs. You will need it when working on embedded systems. Programming a calculator and digital watched become like a cake with the help of the C programming language. Your most famous open-source operating system Linux kernel is coded in C. macOS basic programming is Object-C which is also based upon the C language syntax. One of my friends told me that it is a derivative of the C, but I do not know. Well, if you are still reading this post, you definitely want this free eBook An Introduction to C & GUI Programming written by Simon Long. The book is not that big and also you will not find thousands of useless words which is very common practice to make books huge. Everything is to the point. You will enjoy it reading and working on your C GUI projects.